This is a collection of everything that I have published. Success comes at a price. It may be your life, your family, or even your soul. But, sometimes you put everything on the line without meaning to. Tom Mason has been offered what every independent author dreams of: a contract from a major publisher. His hard work has paid off and life seems perfect. Until an old Leather-bound book arrives on his doorstep. Within its pages are secrets that will change everything he thinks he knows – about himself, about his family, and about the life he lives. Something evil has returned, and it’s not just Tom’s own demons that are coming for him. Haunted by evil from not only his own past, but from that of a man he’s never met, Tom must fight to protect all he’s ever cared about. He risks losing everything, including himself. And the demons want to make sure he stays lost in that leather-bound book, forever. LeatherBound is a pulse-pounding thrill ride through the dark. Bring a flashlight. But ask yourself – do you really want to see what’s in these pages? I Want My Copy Now!!! When you're the oldest, you look out for your little brother. Sometimes he gets into trouble anyway, and you help him out the best you can. But what do you do if he's so far into the darkness you can't reach him? Peter Middlebrook returns from college, and senses that something is wrong with Daniel. More than usual. When they lost their parents, each of them dealt with it in their own way, and Daniel had the hardest time with it. Now it seems Daniel's old demons are back to haunt him, and his descent is connected in some way with a stranger who has just opened a shop in town. Who is this man? And what does he want with Daniel? Peter will have to find out if he's to stand any chance of saving his brother and bringing him back home. 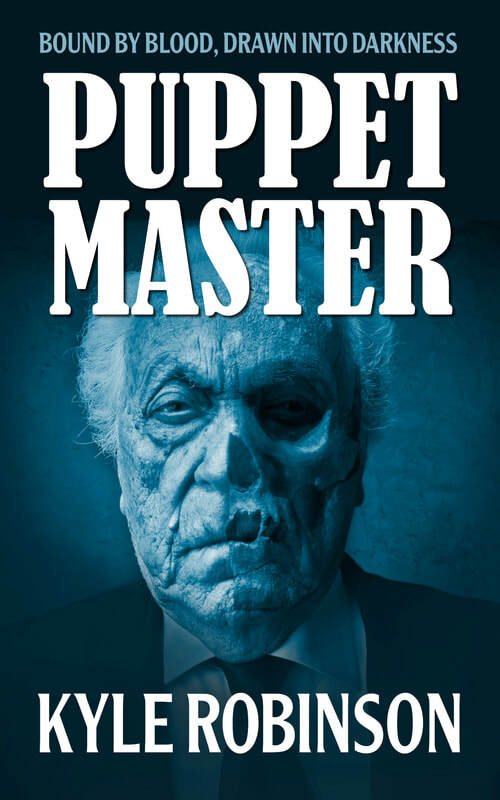 PuppetMaster tells the first part of Peter's journey along a dark road of addiction and temptation that he never knew existed. It’s going to be a rough ride.